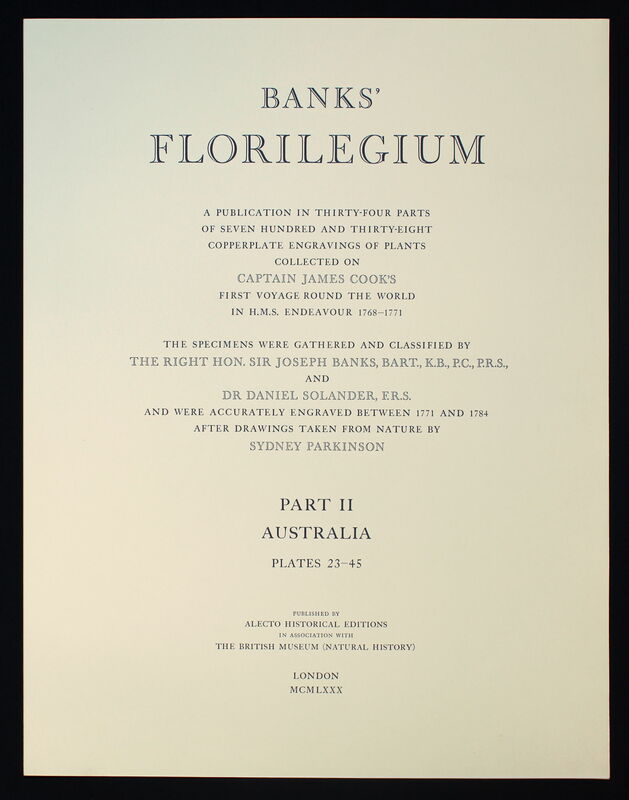 The first publication in their entirety of the original copperplate engravings of plants collected by Sir Joseph Banks and Daniel Solander on Captain Cooke’s first voyage round the world. 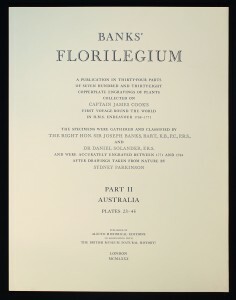 Banks’ Florilegium consists of thirty-five Solander boxes, presenting all seven hundred and forty three botanical line engravings after the watercolours drawn from nature by Sydney Parkinson, which record the plants collected by Sir Joseph Banks and Dr Daniel Carl Solander in Madeira, Brazil, Tierra del Fuego, the Society Islands, New Zealand, Australia and Java on Captain James Cook’s first voyage round the world 1768-1771. 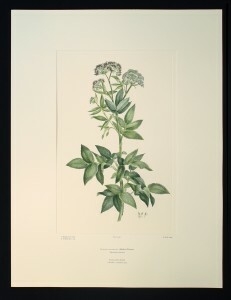 The specimens: The superlative line engravings were made under Joseph Banks’ personal direction between 1772 and 1784. The copper plates are virtually uniform in size: 18 x 12 inches (457 x 305 mm). They are printed in colour à la poupée, up to ten colours being worked directly into the single plate before each print is pulled, with additional details added in watercolour. The engravings were printed over a period of ten years, at a specially set up intaglio studio under the direction of Edward Egerton-Williams. Paper: Somerset mould-made, acid-free 300gsm, produced in a special making by the Inveresk Paper Company. 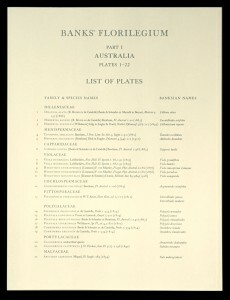 Sheet size: 28½″ x 21⅞″ (724 x 556 mm), each sheet watermarked ‘AHE’. 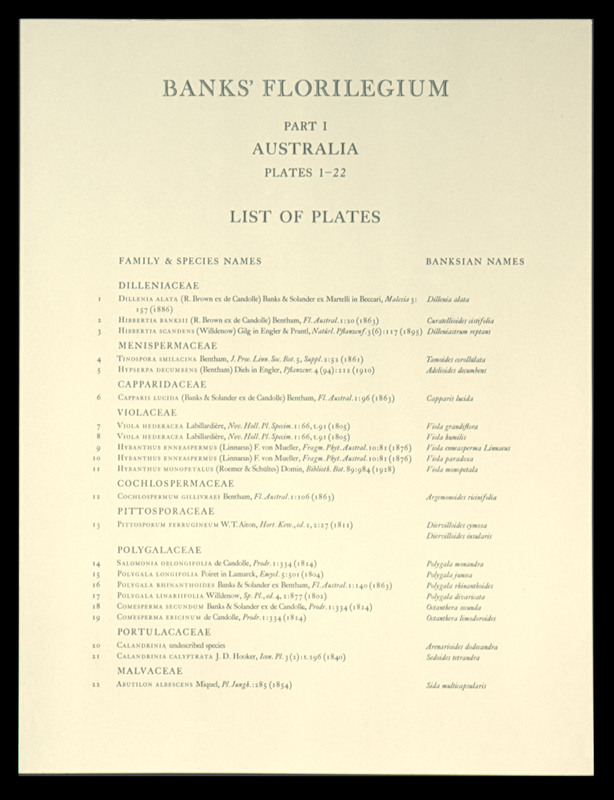 Typography: Each of the 35 boxes of engravings contains a List of Plates listing the full taxonomic details of the specimens in that Part, and an individual Title-page and Colophon. Each engraving is presented within a window mount of a double-folded sheet of the same specially-made Somerset paper as the engravings. 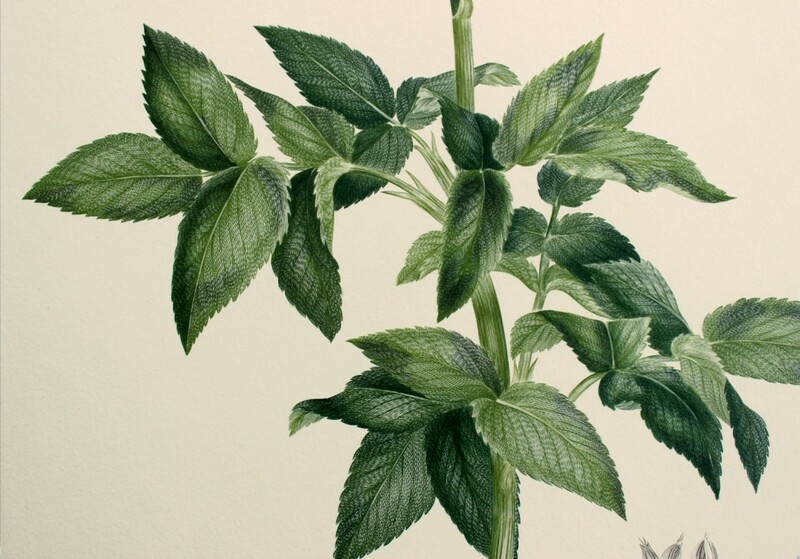 Mount size: 29″ x 22½″. 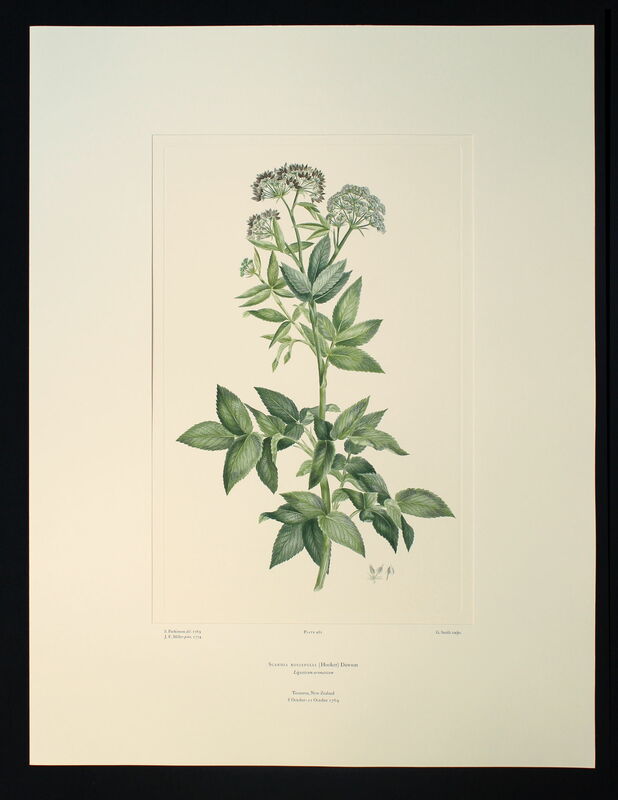 Each mount is printed with the individual specimen’s full botanical, geographical and historical details, including the names of the artists and engravers. The typography was designed by Ian Mortimer. 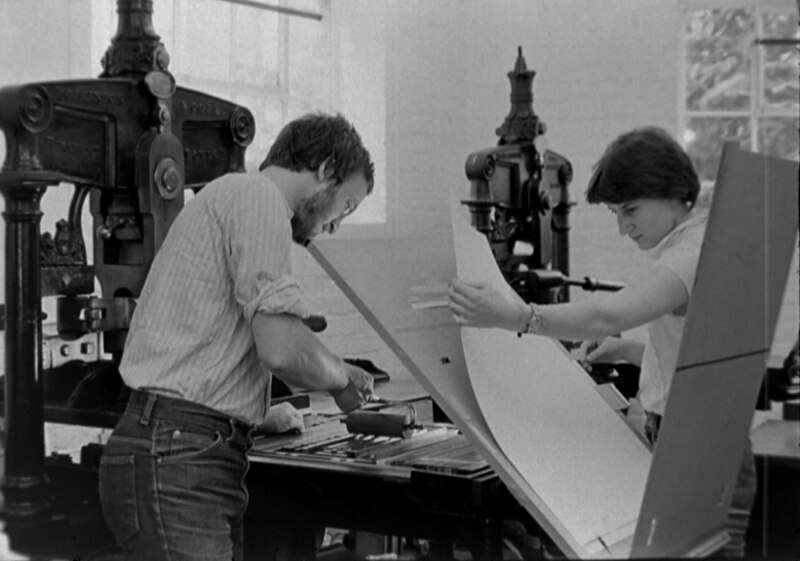 Typesetting was carried out by hand throughout and all the text printed letterpress on the hand-presses at I. M. Imprimit, working in parallel with the copperplate studio over a period of ten years as the printing of the engravings proceeded. Solander Boxes: G. Ryder & Co. Ltd. The edition: 100 sets numbered 1/100 to 100/100 plus 10 sets hors commerce numbered HC I/X to HC X/X; 3 exhibition sets numbered EP 1/3 to 3/3; 3 sets Printer’s Proofs numbered PP1/3 to 3/3. This first edition from the original copper-plates was published in thirty-five Parts by Alecto Historical Editions, in association with the British Museum (Natural History) between 1980 and 1990. Details of the publication, including botanical information and names of the artists, watercolourists and engravers of each specimen, can be found in the large folio Catalogue of Banks’ Florilegium, published by Alecto Historical Editions, in association with the British Museum (Natural History), 1990. Visit www.alecto-historical-editions.co.uk/banks1.htm for extensive information on the historical background to the Cook/Banks expedition, and illustrated details of the preparation, printing and publication of this edition. Images and design © 1960-2019 Ian Mortimer.